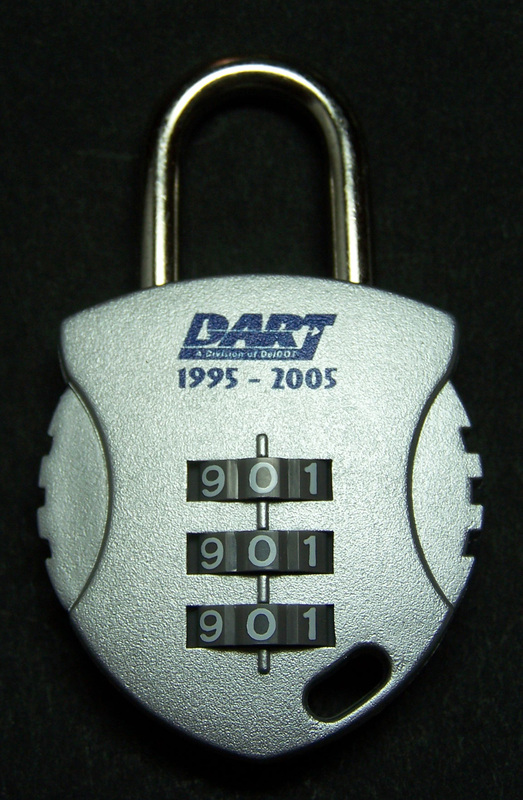 Celebrate DART's 10th Anniversary with the lightweight Prime combination lock. Features the DART logo on the front. Perfect size lock to use on luggage. Extra shank included. Limited quantity.